From Mediaite: Bill O’Reilly took on President Obama’s speech on race and Trayvon Martin last night. Reports Mediaite, “Bill O’Reilly opened his show Monday night by examining President Obama‘s Friday afternoon speech on race and the Trayvon Martin case. 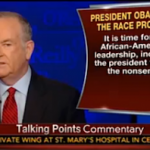 O’Reilly began by saying Obama was ‘correct in addressing the race issue’ but then proceeded to hammer the president for failing to address the ‘real’ problems facing the African-American community. ‘The sad truth is that from the president on down, our leadership has no clue, no clue at all about how to solve problems within the black community,’ O’Reilly said. ‘And many are frightened to even broach the issue. '” Read on here. From Gossip Cop: After starting a driveway fire, Amanda Bynes has been hospitalized. Gossip Cop reports, “Amanda Bynes has reportedly been hospitalized on a 5150 psychiatric hold after allegedly starting a driveway fire late Monday. The fire department responded to the residence in Thousand Oaks, California and called the sheriff when the troubled actress was allegedly found next to the fire, according to TMZ. After deputies questioned Bynes, they reportedly determined that she required a 5150 hold — an involuntary hospitalization for mental health evaluation and observation. Earlier on Tuesday came a report that Bynes had attempted to trespass at a retirement home in the same neighborhood.” Read on here. 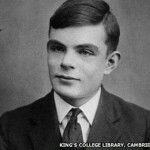 From Geekosystem: Alan Turing might finally get a pardon, but for all the wrong reasons. Geekosystem explains, “There’s a new movement gaining steam in England to officially pardon British cryptographer and godfather of modern computer science Alan Turing, and it appears likely that this one will finally end in a formal pardon. Now, ordinarily, we’d be all for that, but for one fact. If Turing is issued an official pardon, it will be for the wrong reasons, and runs the risk of ignoring why he actually deserves an apology from his government — and why many other Britons who were similarly affected by a bad law deserve the same. Turing, whose work at Bletchley Park in England helped break some of the most stubborn and complex Nazi codes of WWII, was tried in 1952 under a British ‘gross indecency’ statute.” Read on here. From Styleite: Dolce & Gabbana just can’t seem to make it out of the courtroom. Styleite reports, “Evidently the courtroom is fashion’s hautest hangout this season, and it looks like Domenico Dolce and Stefano Gabbana will be back there before they’ve even finished appealing those tax evasion charges. 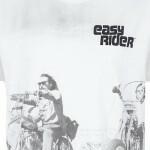 This time they’ll be joined by Peter Fonda, who wrote, produced and acted in the iconic 1969 movie Easy Rider. Fonda, like a few people, has taken issue with Dolce & Gabbana’s tribute tee. Though his qualm is not the $295 price tag but the fact that the designers didn’t ask permission to use his name and image. Neither of the boys have responded to the suit, but the shirts in question have been pulled from their website and that of Nordstrom – another defendant in the case.” Read on here. From SportsGrid: Ryan Braun was suspended, but it looks like A-Rod is going to get his time too. SportsGrid reports, “Alex Rodriguez, guy who makes 89 cents a second, is screwed. As we’ve known for a while, there’s lots of evidence against A-Rod, Biogenesis client and PED user. Lots. He’s indeed more screwed than Ryan Braun, and as you’ve seen in the past day, Ryan Braun is very much screwed. This isn’t surprising after the thorough Miami New Times report back on January 31, but it is cool, because A-Rod seems like he’s finally going to get punished for being a bad boy. ‘It also could hurt the possibility of a successful appeal, as Braun’s actions today give Bosch credibility, which is something that has been in question since the Biogenesis investigation began. '” Read on here. From The Mary Sue: Steven Moffat lied about Doctor Who. Or did he? 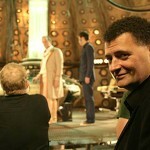 The Mary Sue writes, “Steven Moffat has admitted he’s a liar. But should we believe him? PARADOX! The Doctor Who 50th anniversary panel at San Diego Comic-Con both revealed things and did not reveal things. It was like Schrödinger’s panel. But we’re used to being confused and/or frustrated by Moffat’s answers when it comes to Doctor Who. For instance, that time we asked him about the origins of Clara, or when he tried to explain “The Angels Take Manhattan.” But it seems most people involved with Who have to bend the truth now and then. Matt Smith told the press he was coming back for the next series and just a few weeks later, he was announcing his departure.” Read on here. From The Jane Dough: How did a major U.S. city like Detroit wind up filing for Chapter 9 bankruptcy? The Jane Dough explains, “In a desperate move to remedy the city’s dire finances, the city of Detroit filed for bankruptcy on Thursday, becoming the largest municipality in U.S. history to do so. The cash-strapped city has barely held on for the past two years, and is currently struggling under more than $18 billion of debt. Municipal bankruptcies are, of course, considerably rare. 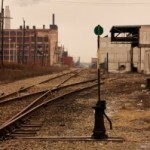 Since the 1950s, a little over 60 cities, towns, villages, and countries have done so, and in those cases, the magnitude of debt lagged far behind what Detroit currently faces. Detroit’s decision to file for Chapter 9 was a long time coming.” Read on here. 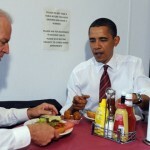 From The Braiser: President Obama and Joe Biden might no longer be able to frequent their favorite burger joint. Reports The Braiser, “And what is to become of our marrow burger now?! Ray’s Hell Burger, one of the President’s favorite burger spots in DC (or Arlington, VA; close enough), has been unceremoniously booted out of its small location in an unimposing strip mall. Apparently it’s been undergoing a really bad breakup with its landlord, who’s taken on the role of Beyonce and has thrown all of Ray’s stuff on the sidewalk. A popular lunch date spot for President Barack Obama and his fly honeys Joe Biden and Dmitri Medvedev, Ray’s Hell Burger (and its adjacent property Ray’s Hell Burger Too) had claimed that they were resolving the issue with their landlord, but ARLNow.com reported that the breakup seemed to be permanent.” Read on here.